Today.. is ANZAC day; when the people of Australia & Aotearoa/NZ remember the fallen in the field, of many Wars: NZ wars (19th Century), WW1, WW2, Korea, Vietnam & more recently in places such as, Timor & Afghanistan etc. *Interestingly.. the Chair of the company’s advisory board, is the ex-Assoc. Health Minister (resp. Drug Policy) in the previous ‘centre-Right’ Govt. It was under his watch that ‘Synthetic cannabinoids’ were given the Green-light, BUT the natural herb, was rejected for regulation; deemed to be ‘not likely to meet the Low-Risk category‘. It seems that he has, now done a 180-degree turn, since leaving parliament ! It then goes into breaking the figure down by: M/F, age, socio-economic & other demographics etc. Also broken into similar demographic groups. This question is Totally Irrelevant (IMHO) to Cannabis reform ! a) who were the 'targets' of this poll: general public OR 'selected others' ? b) do they really think that Law reform will extend to, legal use by everyone/anyone ? obviously there will be age restrictions. c) do they really think that it will be legal to 'drive-high' ? d) obviously law reform focus will be on: Education & ensuring that people with 'Drug dependence' get help, not just 'Lock 'em up boys'. What do they really think, law reform will do ? e) If only 7% support 'status quo' (as the poll suggests) then, it looks like the rest of the stats. are deliberately 'skewing' the results to, make it look like only 18% of all kiwis, want laws on 'recreational use' to relaxed/amended. *As has been clearly said (ad nauseum): You can collect data & manipulate/present it, in many different ways.. even in such a way, as to make it look like, it says the total opposite, to the 'widely accepted' reality OR are they really.. just trying to: add to the 'Moral PANIC' that they want to continue !? **Many other recent polls, show that about 67%+ (two-thirds) of 'kiwis' would like to see the ADULT personal use of Cannabis to be, at least 'decriminalised' & perhaps even made Legal/regulated in some fashion (still to be finally decided). The biggest barrier (IMHO) to the 'Reeferendum'.. is perhaps: Apathy/lack of voter turnout !!? I have been keeping an eye, on some of the events of 420-weekend 2019/Harvest-Fest.. one thing is clear, Cannabis is finally emerging from the shadows & into the ‘mainstream’. Something else seems to becoming, also clear; the sidelining of the ‘Cannabis Activists/Advocates’ & the rise of ‘Canna-preneurs’. 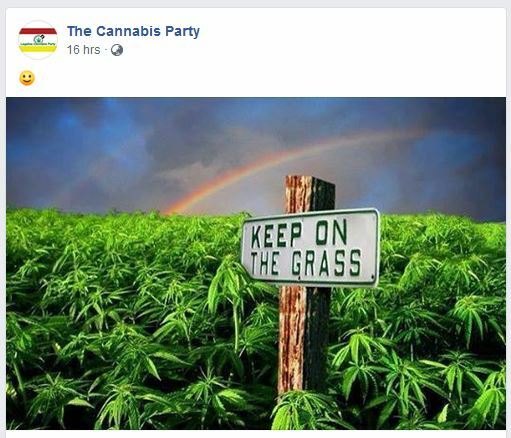 It seems that with the passage of a medicinal cannabis bill (end of 2018) & now ‘Reeferendum 2020’, on the horizon.. we could be seeing ‘Big Cannabis inc.’ entering the scene ? As a person who has dipped my toes into ‘Canna-politics’ & has kept a close eye, on many of the changes occurring.. I wonder, is this what ‘the herby-folks’ of Aotearoa/NZ really want ? This song says it eloquently; “… I ain’t blind & I don’t like what I think I see… taking it to the streets” the DOOBIE Bros. There was a buzz about organising, the ‘Harvest Festival’ & buses to take herby-folk to the location. I was expecting to see some die-hards & maybe a few manuhiri/guests; I was pleased to meet folks from around Aotearoa, but was surprised to meet an Aussie couple, who had traveled from the ‘West Island’ to attend.. & others from europe, touring the country that had added this to their agenda.